Includes information on the cost of cyberattacks for businesses and the best practices for securing a network against breaches. Countless businesses are still relying on outdated, impractical, or inefficient IT security measures. Are you one of them? Wearable technology, mobile platforms, and the enormous growth of network volume have created more vulnerability than ever before. Speaking directly to executives, administrators and IT professionals tasked with securing their IT infrastructure, the e-book presents recommendations for creating and executing a fully integrated IT security strategy. The e-book also details the consequences that come with a cyberattack and stresses prevention when it comes to IT and data security. As the business world continues to evolve, organizations must work harder to protect themselves from evolving security threats. 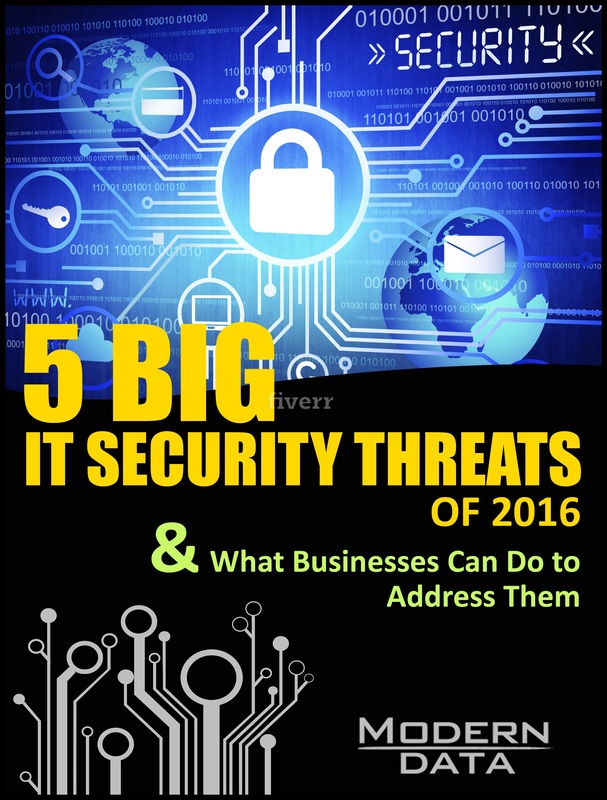 Modern Data’s new e-book helps organizations address serious IT security risks. Founded in 1998, Modern Data is a leading provider of IT support services delivering managed infrastructure support, customized programming, IT security services, mobile apps, web design and cloud computing to organizations across North America. Modern Data is headquartered in Toledo, Ohio with regional offices throughout the U.S. For additional information or to request a complimentary network assessment, call 1.855.MODERNDATA or visit http://www.moderndata.com. Demand better.